offered prayers for all situations. CC re-evangelized Europe after the invasion of the Anglo-Saxons but was eventually made to conform to Roman customs, which took the vitality out of this movement. A comparison can be made to the potency of “Made in America” churches which “imported from Europe” denominations distrust and attempt to domesticate (46). CC “missionary ecclesiology” is characterized by use of a team, monastic communities of deep practice and formation, use of imaginative prayer, vibrant hospitality to guests and inviting others to belong before they believe. CC communicators presented the gospel with an ethos of trust-building character. By drawing on Christian teachings resonant with culture—Trinity, sacrifice, God’s immanence and human nature—they adapted to their audience and were unafraid to appeal to emotion and imagination. Many today are like the Celts with high views of human nature, tolerance for ambiguity and tribal forms of community, thus effective evangelism will have a Celtic tone, as The Alpha Course, Recovery Churches and Australia’s Jesus Movement exemplify. 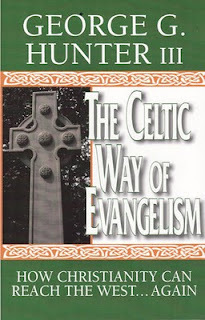 Hunter’s book provides compelling pictures of Celtic virtue but does little to position these as anything more than mere strategies to effect conversion. The first instance is in his portrait of the Celtic monastic community’s practice of hospitality (30, 52). Though Hunter points to the “semi-spiritual status” of guests as Christ in their midst, the whole tone of the book suggests that this hospitality, while theologically colored, is pragmatically driven. This is unfortunate since inviting people to belong before they believe should not be merely a tactic but the logical outflow of one’s belief in the surprising imminence of God. Without this conviction, the evangelist may determine that giving the appearance of being welcoming is just as useful to evangelism as indeed having a welcoming heart. The second and more troubling instance of this pragmatic employment of “virtue” arises in Hunter’s discussion of communication theory. He speaks at length about the importance of the speaker’s ethos, credibility, character and goodwill but it would seem that these, too, are tactics for persuasive speech toward conversion rather than pure expressions of the converted life to which the evangelist bears witness. Patrick and his followers, Hunter asserts, were virtuous and thus effective. Virtue is understood primarily as persuasive power. While the beauty of virtue is indeed compelling, Hunter fails to note that virtuous witness is an end in itself, as Bryan Stone emphasizes in Evangelism After Christendom. 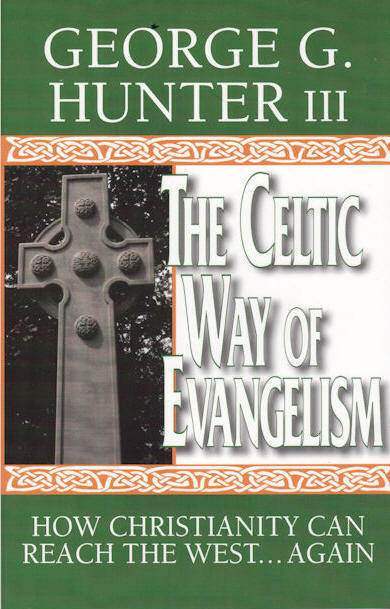 A reader could too easily come away from Hunter’s book concluding that one way to improve their evangelistic effectiveness is to “get” virtue (and thus commodify it) or worse yet, settle for the appearance of virtue.